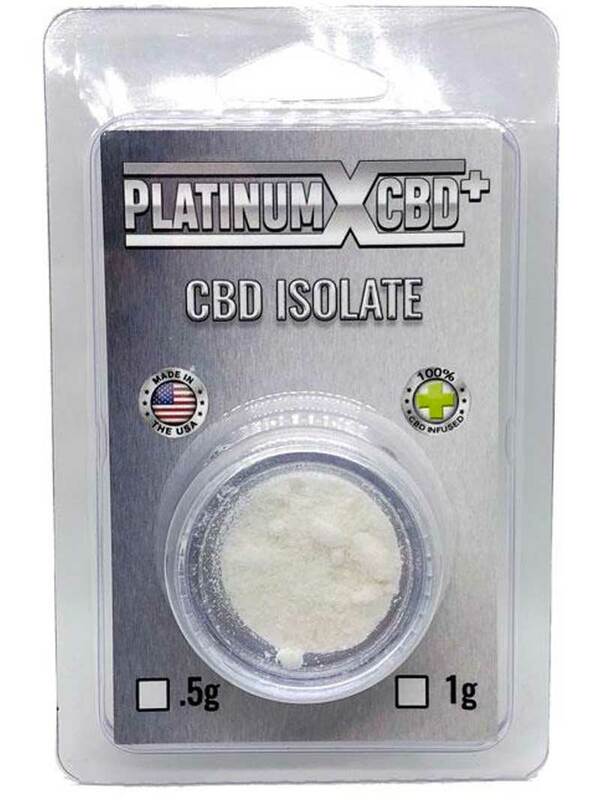 Platinum X CBD+ isolate is tested at 99% concentration. It can be added to foods, put into liquids, or smoked. Ingredients: NON-GMO, PESTICIDE FREEE, Co2 Extracted from Industrial Hemp (Cannabidiol) 1000mg.